This thread was marked as Locked by Badprenup. Poll: Do you think a dark version of the overworld is a good idea? The castle will look like. There could be some deformed versions of the mobs, a distorted neck creeper, and maybe a spreading corruption in the overworld when you defeat a boss. First of all, this seems unfitting; second of all, you didn't say how we would get there. if mojang say's something like that you gotta just admit it means they wont put more dimension, no? and anyway putting this idea in the trash for me isn't any problem, it is very vague, and lacks organization, i didn't understand much, and i want more information. what can i do with these dark alternatives of ores? do they have any special effect/property? how can this improve gameplay? does it improve gameplay? While alive, you have a 100% chance of dying, so don't sweat it. "Yet another stands before me... Then so be it. For the curse of life, is the curse of want. And so, you peer... Into the fog, in hope of answers." See All The Collections Of Minecraft Journals! And Remember To Keep Every Journals Alive! Well There is also dark tools. and the reason why it is gameplay is beacause, Like the Nether and the end, it comes with 2 achivments. Also if nobody agrees, That's ok I was just using my inaginaion. this sounds a bit too much like it would compete with the nether, and more like the things many mods add, I don't think it fits with vanilla. You can just quote who you're responding to. Rather than having to name who you're talking to. It used to be reply so I got confused. No, it was always quote. Eh... no support. 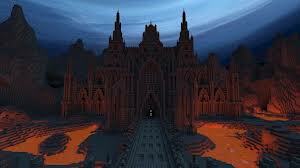 We have the Nether. Plus the idea is very vague. What kind of mobs would be there? How would they look? Saying that everything would look "dark" and "evil" is not enough detail. Despite the fact Mojang said no more dimensions, I still think this idea needs improvements. No support. New tread! How do delete a tread?